If you want to stand out from the crowd and give you & your guests the best party of the year then look no further. We have over 10 years of experience in the entertainment industry organising 16th, 18th, 21st, 30th, 40th and 50th Birthday Parties and our party planners know how to plan fantastic events. All of our DJs play in clubs and bars all over the UK as well as having residencies local to us in Oxford and London so they are not just mobile DJ's, they will bring a nightclub experience to your mobile disco party or event. We also recommend bands and other performers who continue to pack the dancefloors or private parties and events all over the UK and abroad. 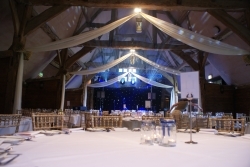 RJCC Events are party planners and suppliers of event equipment based in Oxford and we offer great value for money party packages with all event equipment and services under one roof. This means peace of mind for you in that we can provide everything you need for your party without you having to go to many different suppliers. Anything we don't own, such as toilet trailers, we can hire for you so you only have one point of contact for your event. We can transform any marquee, hotel, barn, garden, pool or even sports hall into the perfect party venue with a theme of your choice. “I just want to thank you very much for all you did towards making Nick's party such a success. Judging from the letters that we've received the guests all had a great time and were very impressed with the set up. The lighting was brilliant. Thank you so much for taking charge of all that. I was very concerned about it but when you took control I felt very reassured and it worked out magnificently. The dance floor was continually packed so the music was obviously absolutely right. It was a pleasure working with you. You were very efficient throughout and I wouldn't hesitate to recommend RJCC Events to any of our friends. It can be quite stressful arranging a party as there is so much that can go wrong if everything isn't minutely organised behind the scenes and I really do commend you for your reliability, proficiency and efficiency. I hope we get the chance to work with you again." Parents please note: Your childs' dream birthday party may not always coincide with your budget! At our no obligation site visit we can usually find a happy medium and practical solution. 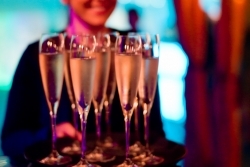 All of our bar staff are experienced and responsible when it comes to alcohol consumption and guests' behaviour can be controlled with our friendly event managers and/or security team.